Seeing as this is our our first webquest assignment, we do not expect it to be an A plus. However, we did put hard work and effort into this webquest. The requirements (or the instructions) of this project. Welcome: This should be your historical question. Description: Brief statement of the inquiry. An effective Introduction does two things: 1) It sets up the historical inquiry. 2) It engages interest by pointing out the importance of the topic, or the mystery of it, or the relevance. This is where you hook the learner's interest. Use this section to set the scene. Remember, your introduction must draw the reader into the lesson by relating to the learners' interests or goals and engagingly describes a compelling essential question or problem! Avoid introduction that is purely factual, with no appeal to classmate’s interest or a compelling question or problem. The most critical part of any WebQuest is the Task description. This section simply describes what you want the quester to have accomplished by the time they have finished the lesson. Don't include the intermediate steps that lead to accomplishing the Task. Those will end up in the Process section. The Task description will be short, but it will represent the results of higher level thinking. It should be written in the second person. Remember, the written description of the end/culminating product must describe clearly the goal of the webquest. Task should require synthesis of multiple sources of information (transformative thinking) and it should be highly creative, going beyond memorization, and engaging. In addition, the task should be realistic, doable, and appropriate to your grade. The Process section spells out step by step what the questers will do, how they'll interact with you, each other, and with information. to use. Finding good resources takes time. There are three phases to the process. Phase 1, you provide questers with the information they'll need to perform the task. Phase 2 of the Process, the thinking work takes place. Your questers have now examined the information and now they need to transform it in some way. Here is where they play with ideas, make decisions, and so on. Phase 3 of the Process, questers actually produce something that reflects the thinking they did in Phase 2. They may be writing a position paper, preparing a debate, creating a model... the end result was described in the Task section and might take many forms. Will they need help in producing this result? You might want to provide some writing prompts or other forms of guidance to help them act more skilled than they presently are. Remember, if possible, Process page should be divided into sections or pages where each student would know exactly where they are in the process and what to do next. Every step should be clearly stated. Activities should be clearly related and designed from basic knowledge to higher level thinking. 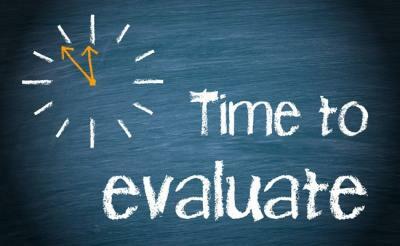 This section describes the evaluation criteria I will use to grade your webquest. You will not have to create a rubric for your webquest. The Conclusion section serves two purposes. First, obviously, it brings the lesson to a close. Ask the learners to reflect back on what they learned and about their own process of learning. If there's a bottom line to the topic, this is a good place to put it. A second purpose for the conclusion is to look ahead. There will always be someone whose interest was piqued by this lesson and is eager to learn more. In developing the WebQuest you probably found more good links than you had time to use. This is a good place to put them. In effect you'll be saying, 'That's all the time we have for this topic, but if you'd like to pursue it more on your own check these resources out.' What better way to encourage self-directed lifelong learning? Both Elisabeth and Juliet agree to grade this webquest a B+.